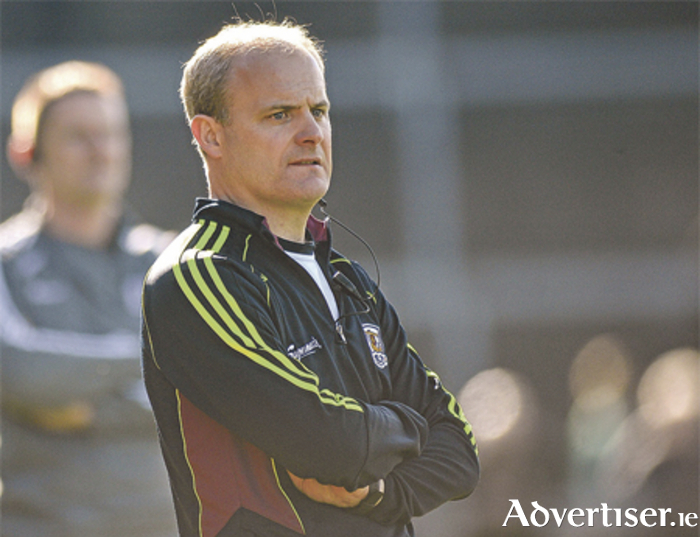 Galway hurling manager Micheál Donoghue does not do hyperbole. The Clarinbridge man has been around hurling all his life and he knows the only real place for any team to do its talking is inside the white lines, during the 70 minutes that matter, on any given Sunday. And for his Galway team it is this weekend when they take on Offaly in the Leinster Championship hurling semi-final at O’Moore Park, Portlaoise (3.30pm ). While Kilkenny were impressive in their victory over Dublin and it would be great for Galway to meet them again in the Leinster final, Donoghue says their only focus is Offaly as they are taking the “one game at a time approach”. “Offaly had a good win over Laois (3-22 to 2-14 ) in their quarter-final clash and they have some very good hurlers,” O’Donoghue says. “They will be coming to O’Moore Park with the exact same objective as ourselves, to get a win and try to be in a Leinster final in two weeks time. Galway have no major injury worries going into the weekend and will announce their team tomorrow night (Friday ). However, on the back of their solid performance in the victory over Westmeath, it is unlikely there will be any major changes to the starting 15 for this game. A major positive for Galway is the return of Conor Cooney, who impressed when he came on for an injured Joe Canning in the win over Westmeath, and Donoghue is pleased to have the St Thomas back in the frame for selection. “Conor has worked really hard over the past six months or more with the squad and also by himself to get over what was a tough injury,” he said. “He has a terrific attitude and it was great to see him back in championship action and hitting scores. However, O’Donoghue says Galway are not underestimating the challenge Offaly will put up: “To be honest we are only focusing on ourselves. The winners will be in a Leinster final on July 3 and that is what both teams will be targeting,” he said.